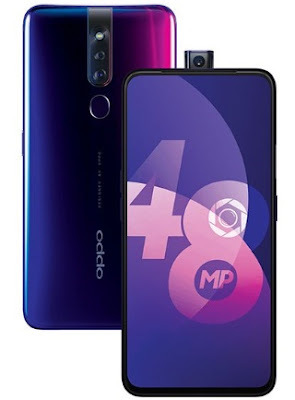 Oppo has launched Oppo F11 and Oppo F11 Pro smartphones on March 5, 2019 in India. The most features packed phones' priced at INR 19,990 and 24,990 respectively. Oppo F11 Pro mobile phone might be the tough competitor to Vivo V15 Pro smartphone that was launched just few days back. Oppo has recently released Oppo R15 Pro and R17 Pro etc. If you are interested to know Oppo F11 Pro phone's key features, technical specification, price, unboxing, first impression, hands-on, comparison and review etc. then you could find some of them over here. 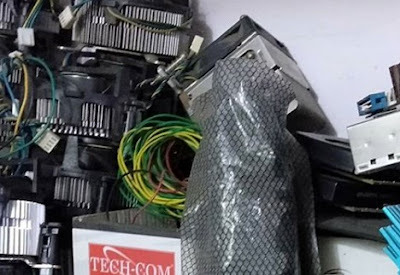 The phone is powered by MediaTek Helio P70 Octa core (2.1 GHz, Quad core, Cortex A73 + 2 GHz, Quad core, Cortex A53) processor with Hyperboost technology, and paired with 6GB of RAM. The internal storage of the phone is of 64GB with an expandable memory option. Oppo F11 Pro mobile phone runs on Andriod Pie operating system based on Color OS 6.0 version. The display size is amazing, it comes with 6.5 inches panoramic with 1080x2340 pixels. It offers multiple AI enhancements to capture brilliant portraits in low light. With regards to Oppo F11 Pro cell phone's camera, it sport 16 megapixel rising front shooter and 48+5 megapixel dual rear camera. This is one of the Oppo's best smartphones probably. It could be best selling phone as well. You can check its specs and price detail below. Oppo F11 Pro price: INR 24,990. We will also publish soon about Oppo F11 smartphone that comes with incredible features. Tips: This is one more innovative phone from the brand in a reasonable price.